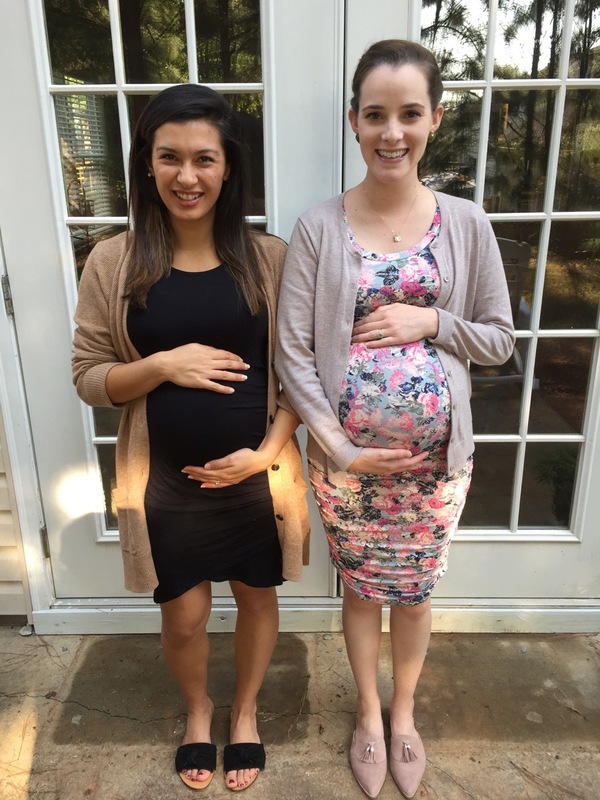 To document my pregnancy, we decided to take a series of bump pictures standing in the same place wearing the same dress. (Similar dress here and here). We weren’t great about keeping up with the bump pictures, but there are enough pictures to be able to tell just how short this dress has gotten over the last nine months from this growing belly. Haha! I’ve loved the journey of pregnancy and can’t wait to meet this little girl! 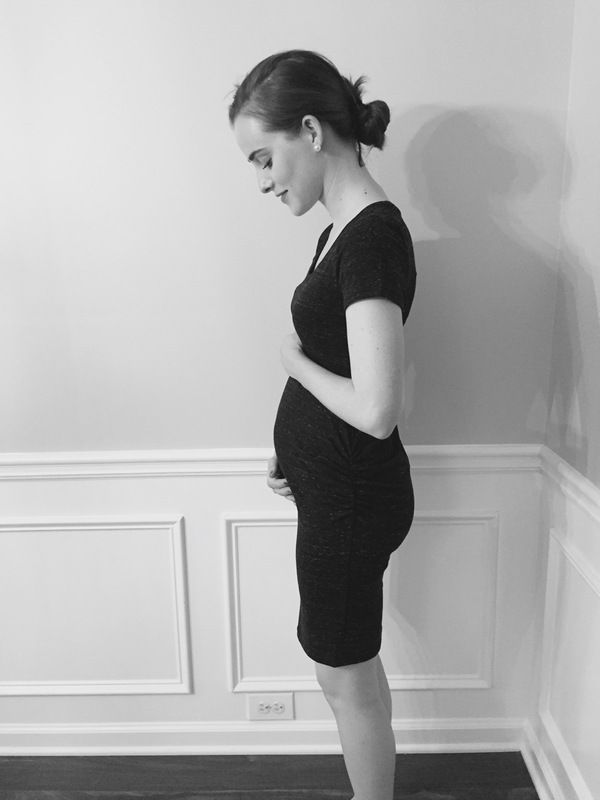 If you’d like to read more about my pregnancy experience, read my Trimester 1, Trimester 2 and Trimester 3 updates. When it comes to clothes, I love them but I don’t want to spend a fortune on them. And for maternity clothes, I found that to be even more true for me. I didn’t want to spend a ton of money on clothes I would only wear for a few months. I started off by going through my closet and trying to see which clothes I could still make work. Think- flowy, long dresses, button up shirts and other clothing items that “give” in the belly area. But when I did finally go maternity shopping, here are some of my favorite finds that have lasted me throughout my first and second trimester. Motherhood Maternity: Check their sales often or go to one of their outlet stores. They give you samples and gifts when you make your first purchase. I got this cute floral dress (pictured below), but unfortunately I can’t find the link anymore. Here and here are two similar dresses. This dress is great for layering and gives you tons of room to grow. I also ordered this cute maternity/nursing bra and it’s super cute, but super comfy.